PARIS – Satellite fleet operator Avanti Communications Group on July 7 revised downward its revenue forecast for the coming 12 months and said a loan expected from an unnamed export-credit agency would require the company to raise $50 million in new equity. The company said it needed fresh cash by this autumn and that its financial advisor, Jeffries International Ltd., had opened talks with strategic investors on a possible purchase of at least part of the company. The news caused Avanti’s stock, traded on London’s AIM market, to fall by around 60 percent. Avanti has been telling investors that revenue and profit growth was just around the corner for some time. In May it promised a 50 percent increase in revenue for the current fiscal year, which ended June 30. In its July 7 statement, Avanti said revenue for the year would be “approximately $83 million, down marginally from the $85.2 million reported for last year. EBITDA, or earnings before interest, taxes, depreciation and amortization, would be $8 million, or 9.6 percent of revenue. For the fiscal year ending June 30, 2017, Avanti it likely would not meet previous growth and EBITDA forecasts. The company said its fiscal-year 2016 performance represents a more than 35 percent increase in revenue over the previous year once “non-core” revenue sources, including what Avanti referred to as a spectrum sale, are removed from the equation. London-based Avanti had said in May that its revenue for the nine months ending March 31 was $50.5 million, meaning the company booked $32.4 million in revenue in the last three months of the fiscal year. Avanti said it had won contracts valued at $70 million during the three months ending June 30. The company did not specify the sources behind the large revenue increase. One investor said Avanti might have sold ground antennas in two African nations in addition to its core bandwidth lease business. The company said that cash on hand as of June 30 totaled $57 million, compared to $122.4 million as of March 31. Avanti operates three satellites and has a fourth, called Hylas 4, scheduled for launch in early 2017. 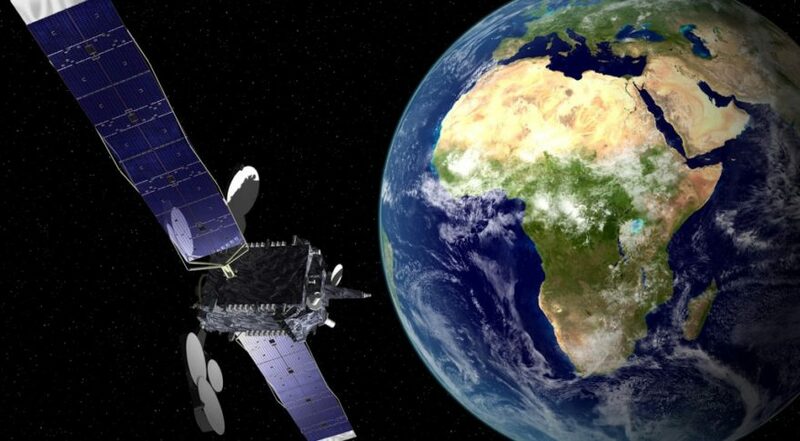 The new satellite, being built by Orbital ATK of Dulles, Virginia, and set to launch by Europe’s Arianespace, will about triple the company’s total in-orbit capacity with 28 gigahertz of Ka-band throughput over Africa and Europe. But Africa, where Avanti has staked out a sizable position, is now problematic for the company. Avanti made no mention of the 3 gigahertz of Ka-band capacity it has leased from fleet operator SES of Luxembourg on SES’s Asra 5B satellite at 31.5 degrees east. Avanti has referred to this capacity as Hylas 2B and had said it would be activated in June 2016 – a year after the lease began.